Dieter Sichelschmidt (65), COO of the Access Solutions (AS) DACH segment and Member of the Executive Committee, is retiring on 31 December 2017 after a long and successful career at the company. The Board of Directors of dormakaba Holding AG has designated Alwin Berninger (48) as his successor. He will take up his new post on 1 January 2018 and will work at the AS DACH Segment’s head office in Ennepetal (Germany). Alwin Berninger is currently Chief Executive Officer of Kuka Industries, part of the Kuka Group. Kuka, based in Augsburg (Germany), is one of the world’s leading suppliers of automation solutions for industrial robotics and manufacturing. Berninger has worked in various functions at the Kuka Group since 1998, including as Executive Vice President Asia/Pacific of Kuka Robotics from 2010 to 2014. He holds an engineering degree (FH) from Augsburg University of Applied Sciences (Germany) and an MBA from the Rotterdam School of Management of the Erasmus University (Netherlands). “With Alwin Berninger we gain a seasoned industrial manager as COO of Access Solutions (AS) DACH who also has the Asia experience needed to manage the segment’s production sites in Singapore, Malaysia and China. 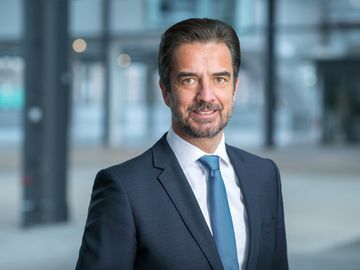 His knowledge and experience of the automation business will also help advance the company’s ongoing digital transformation,” said Riet Cadonau, CEO of dormakaba Group. The Board of Directors and Executive Committee of dormakaba Group would like to take the opportunity to already thank Dieter Sichelschmidt for his long and very valuable contribution to the successful development and integration of the company.